Powered by a 2.0 litre 163 bhp HDi diesel engine and a 37bhp electric motor, the Peugeot 3008 with HYbrid4 technology, is set to be the first diesel full hybrid production car in the world. Thanks to the efficient system it can potentially average 74.4mpg with CO2 emissions of just 99g/km. The new model, due here in Spring 2011, also features an all electric mode at lower speeds, meaning zero tailpipe emissions and yet with a maximum combined power output of 200 bhp it should have impressive performance. A maximum torque of 500Nm is available, split with 300Nm at the front from the HDi diesel engine and 200Nm at the rear generated by the electric motor. To manage all the available performance a control selector on the centre console allows the driver to choose between four different operating modes. In "Auto" mode the entire system is automatically controlled, including operation of the HDi diesel engine and the electric motor. This provides optimal driving for fuel consumption and dynamic performance. "ZEV" mode (Zero Emission Vehicle) is an all-electric mode where the diesel engine only comes in for sustained acceleration. Four-wheel drive mode (4WD) means both power motors operate together as far as possible. The rear wheels are driven by the electric motor and the front wheels by the HDi engine. 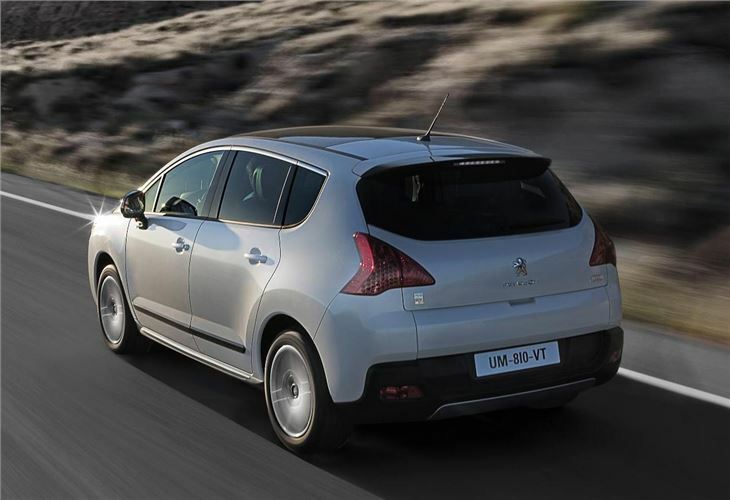 At low speed it allows the 3008 to tackle trickier terrain. Lastly there's "Sport" mode which allows quicker gear changes at higher engine speeds than normal mode. 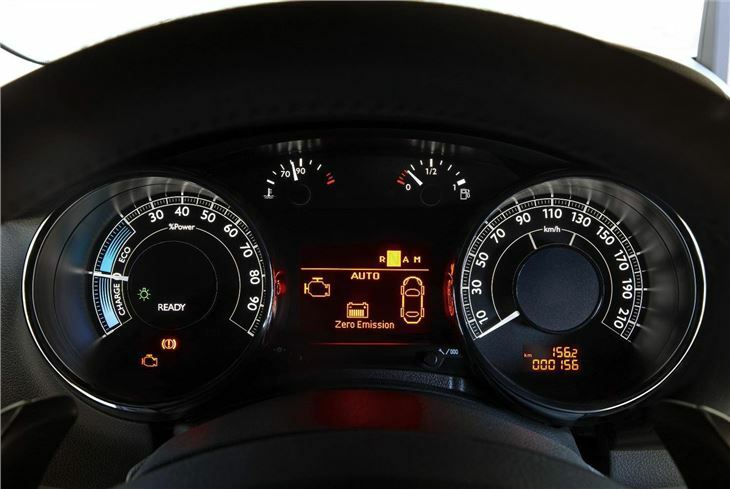 In this mode the diesel engine and the electric motor provide more dynamic performance. HYbrid4 technology brings together Peugeot's HDi diesel engines, electric vehicle knowledge, second-generation Stop & Start and electronically-controlled sequential manual gearboxes. Changeover from the HDi diesel engine to the electric motor occurs automatically, due to a STOP & START system which places the HDi diesel engine in standby and restarts it as and when conditions require. Inside there's the same raised driving position as a standard 3008 but it gets specific 'Guérande & Tramontane' two-tone leather finish which combines a bright pale grey on the seat cushions with a black finish on the sides of the seats. The gear lever is a key feature of the HYbrid4 technology as is the 7-inch colour display which provides information on the flow of energy. A specific steering wheel bearing the signature HYbrid4 adds a touch of exclusivity. It should be practical too with a split lower tailgate which opens to reveal a boot with a flat floor. From the boot, a rear seat folding system, controlled by switches mounted in the load area, allow the seats in the second row to be folded automatically. 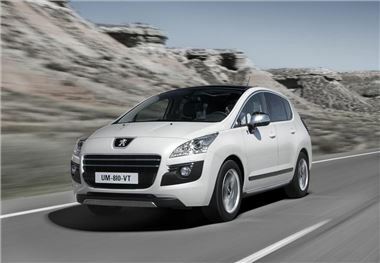 The 3008 HYbrid4 will go on sale in the UK in Spring 2011.